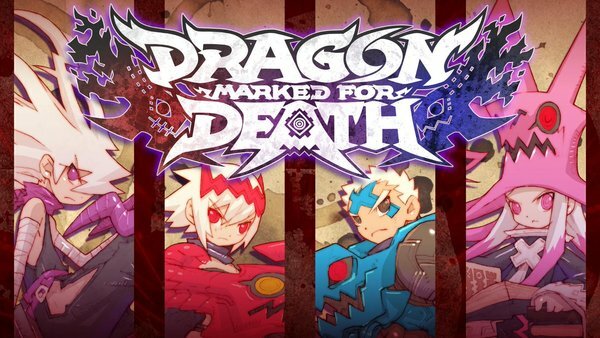 Dragon Marked for Death has been bumped up to Version 1.1.1, and it brings all sorts of tweaks and changes with it. Check out the full patch notes below. Time limits for the lowest difficulty level of each quest have been increased. For the quest "Dreaming of Treasure", a guide arrow has been added and the arrangement of blocks has been changed. For the quest "Undying Dragon", the placement of a locked door has been changed. For the quest "Unearthed Royalty", the locations where enemies and treasure chests can appear have been changed. For the quest "Lost in White", the locations of two NPCs have been changed. The sell price of items that can only be obtained from treasure chests have been changed. The font for the text in the ending credits has been changed. The conversation with the soldier in the Medius slums named "Genne" has been changed. A bug where the game would crash with an error when accessing the DLC purchase menu has been fixed. A bug where the game would crash with an error on the results screen has been fixed. A bug where the game would crash with an error when the Empress swings on the Bio-Bulb enemy has been fixed. A bug where the game would crash with an error when fighting the Asura Bat enemy has been fixed. A bug where the game would occasionally soft-lock when activating a Dragon Combo has been fixed. A bug where the Asura Bat enemy could cause connection errors when playing online has been fixed. A bug where the menu window would not completely close has been fixed. A bug where weapon, accessory, and item descriptions would erroneously display the 2nd page has been fixed. An issue where the controls were not properly reflected in the Control Help entry for Magic Bullet has been fixed. A bug where the Doppelganger's appearance in the final boss fight would become incorrect when changing weapons has been fixed. An error in applying the Empress's chosen color to the sprite has been fixed. Species type for the bosses Twin Dragon and Jinryuu have been corrected. A bug where parameter-increasing statuses were applied multiplicatively has been fixed. A bug where equipment effects of the type "X% dmg. to Lv.Y enemies" were not properly applied has been fixed. A bug where the equipment effect "Night Vision" was not properly applied has been fixed. A bug where the equipment effect "Movement speed +X%" was not properly applied has been fixed. A bug where the equipment effect "Jump Distance +X%" was not properly applied has been fixed. A bug where the equipment effect "Aggro +X%" was not properly applied has been fixed. A bug where the equipment effect "Aggro -X%" was not properly applied has been fixed. A bug where randomized elements of quests and the contents of treasure boxes were not properly randomized in online open matching has been fixed. The behavior of the boss Tonitrus has been adjusted. The damage area of the boss Asura Goblin has been adjusted. Various other bugs have also been fixed. The time limits were so harsh on this one. On the second level I forgot to get a door key in the beginning, then got to boss, finally beat it then needed the key and died when time ran out. Glad they put out a patch for this.